Maestra Gabriela joined the Little Language Ambassadors team in March 2013. She is a fluent and proud native Spanish speaker. 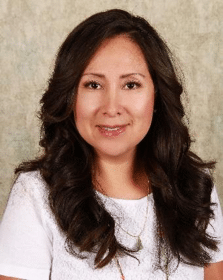 In addition to her excellent credentials in Early Childhood Education from Palomar College, she holds a Bachelor of Arts Degree in Liberal Studies and a Master Degree of Arts in Spanish from California State University, San Marcos. She has taught Spanish to all ages for more than 10 years, from toddlers to college students. 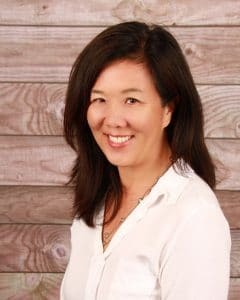 She was a toddler Head Start teacher at North County Serenity House and at KinderCare Poway, where she also designed lesson plans according to ages and goals, assessed developmental needs and created portfolios for each student. Her extensive knowledge of the Hispanic culture and strong organizational skills not only allowed her to teach Spanish to little ones but to adults at Charles Drew University School of Medicine and Science in Los Angeles, and at Mt. San Jacinto Community College in Menifee. 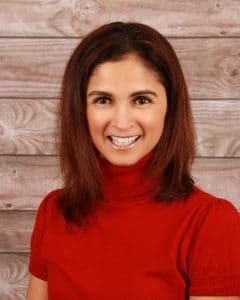 In addition to teaching at Little Language Ambassadors, Gabriela is a Spanish professor at California State University, San Marcos. She is also a proud mother of a young son who she is raising in a bilingual environment. Aileen has been part of the Little Language Ambassadors team since 2008. She assists families with the admissions and enrollment process. Aileen also taught preschool and elementary school children for more than 7 years. In addition, she is the proud author of 9 children academic and skills books in Spanish which have been used at the school. Aileen was born and raised in Mexico City where she earned her B.A. degree in graphic design before moving to the U.S. twenty years ago. She devotes her time to helping our families at Little Language Ambassadors, bringing a spirit of caring and creativity to every task. Aileen is the mother of two fully bilingual teenage daughters. Her daughters attended the after school program when they were younger to reinforce their Spanish skills. Maestro Enrique joined the Little Language Ambassadors team in June 2009. He teaches through the use of music, puppets and active games. In addition to being a fabulous preschool teacher, Enrique has tutored students in our After School program. 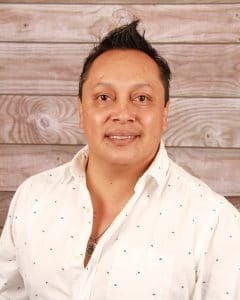 Specializing in early childhood development at Mira Costa College, Enrique has taught Spanish for over 10 years for the Encinitas, Del Mar, Rancho Santa Fe and Carlsbad School Districts, and at a language center in Rancho Santa Fe. He has also been the academic coordinator for the exchange program at the Monterrey Technological Institute and the University of New Mexico (English Immersion Program for High School Students) for over 3 years. He graduated from ITESM with a degree in Business Administration and Quality Control. Enrique is a professional musician who has travelled all over Mexico, Central America, South America and the United States playing his guitar. He was born and raised in Mexico City and has two bilingual daughters that are fully fluent and literate in Spanish and English. 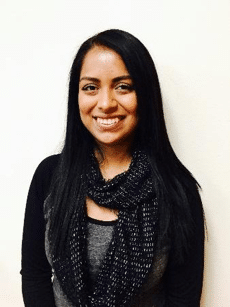 Maestra Azarely joined the Little Language Ambassadors team in August 2012. Azarely is an incredible preschool teacher who is so engaging, energetic and creative with her students. She has been fully bilingual in Spanish and English since a young age. Her degree as a preschool teacher from Mira Costa College in Oceanside is also accompanied by a minor in Entrepreneur Fundamentals. 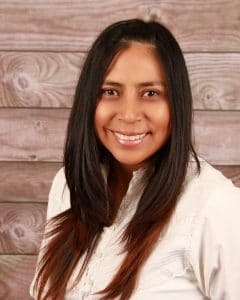 She has extensive experience working with children in San Marcos for more than 4 years, successfully improving student participation, developing course plans, and implementing interactive learning mediums for her students. She enjoys working with preschoolers because she feels very rewarded when seeing them learn new things each day. She is the mother of an adventurous and curious boy. In her free time, she enjoys taking him on new adventures. Azarely loves languages, and has gone through the process of learning a third language, French. She loves having the opportunity to teach Spanish! Maestra Mariel joined the team in July 2016. She was born in Cochabamba, Bolivia where she earned a B.A. Degree in Elementary Education at the Bolivian Catholic University. She gained a lot of experience working as an elementary school teacher at the Teofilo Vargas Academy. Mariel is passionate about verbal communication skills, organizational structure and helping children achieve their individual goals. She moved to United States 11 years ago, and started her preschool teaching career at different prestigious schools. Mariel and her husband are proud parents of two daughters who are bilingual. She enjoys cooking for her family as well as biking and playing board games with them. Maestra Kenia joined the Little Language Ambassadors team in November 2016. 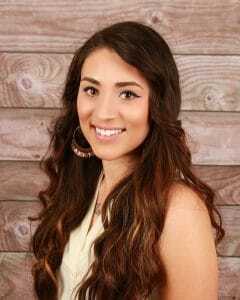 She was born in Michoacán, Mexico, also known as “El Alma de Mexico.” Her family relocated to San Diego 19 years ago. Kenia graduated from California State Univerisy, San Marcos in 2014 with a B.A. in Human Development and a Minor in Psychology. She continued studies of child development at Palomar College. She also completed a year of internship in a preschool in Escondido. Prior to starting work at Little Language Ambassadors, Kenia was a teacher at Kindercare in Oceanside. She has been working with children since 2010. Kenia’s greatest passions are dancing, hiking and traveling. She loves teaching Spanish because she believes that learning another language opens a new door for more opportunities in the future. So the more languages everyone can learn the merrier! Laura Lee is an accountant and has years of experience working in corporate accounting in both the U.S. and Mexico. Her passion for learning about different cultures and languages started when she studied abroad in high school in Salto, Uruguay. After graduating from San Diego State University with a B.S. in Accounting, Laura took a job as an accounting manager in Guadalajara, Mexico where she lived for 3 years. While there she had adopted a family and visits Guadalajara frequently. After Mexico, she decided to study Chinese in Beijing, China before returning home to San Diego. Her experiences abroad have taught her that being bilingual opens up opportunities, broadens one’s worldview and enhances all life experiences. She is a first generation Chinese but those closest to her says she is part Mexican too!. She has a daughter who attended Super Spanish (before it became Little Language Ambassadors) and is bilingual…and hoping that she’ll be trilingual one day too!